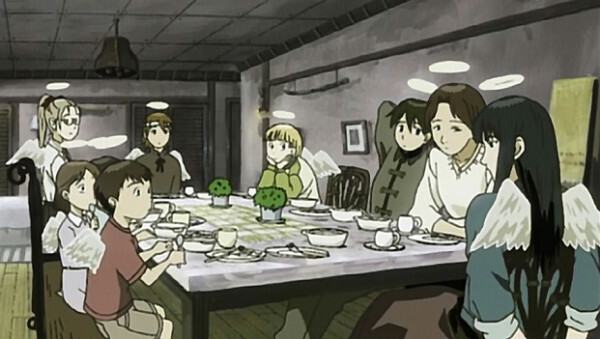 On the surface, Haibane Renmei seems to be alluding to religion… but there is so much more to it than that. The beautiful anime is rich in symbolism, some of which we explore here. Watching Haibane Renmei is a religious experience. You might take that in the literal sense. After all, it's an anime about angels, right? Not quite, as it turns out. 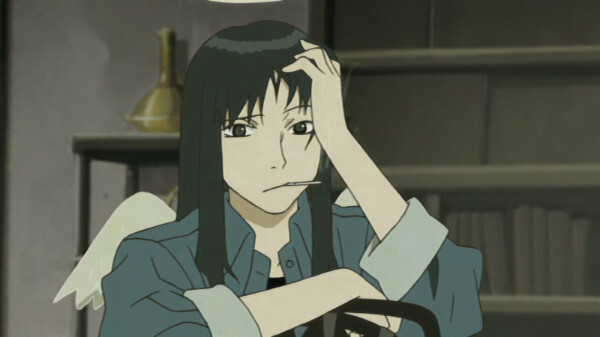 Haibane comes from the mind of Yoshitoshi ABe, who also lent his talents as a character designer for Serial Experiments Lain. For Haibane, ABe took on a bigger role, overseeing the original story and character designs. And according to ABe, the series might be religious in nature, but focusing on that is missing the point. The anime has many other symbols, some of which might not mean what you expect them to. 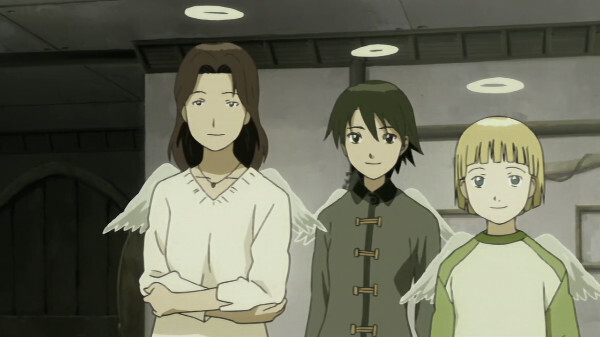 Let's get the obvious out of the way right off the bat: with their wings and halo, the Haibane look like angels. This has led many to believe that the anime is a story about religion, and specifically Christianity (and its various branches). Some have read into the potential Biblical nature of the story. In a 2003 interview with Animerica, the show's creator Yoshitoshi ABe debunked this himself. In his own words: "The way they look and the way they behave are those of a religious order, but they do not worship any particular deity." In other words, the story of the Haibane is a religious and spiritual one, but it is not necessarily a Biblical one. 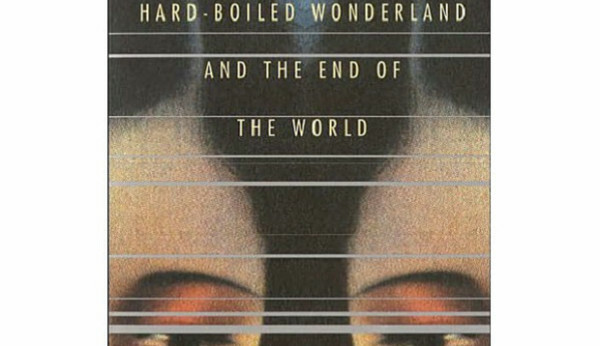 While the world of Haibane Renmei did not necessarily get its start in the Bible, it does have ties to another book: Hard-Boiled Wonderland and the End of the World by Haruki Murakami.Murakami is known for his odd mixing of reality and fantasy, usually in the form of literally creating two worlds within one like in 1Q84. Murakami's novels, like Kafka on the Shore and The Colorless Tsukuru Tazaki, often deal with the idea of the dreams, the unconscious mind, and the subconscious mind as places where you exist as a different entity. Although Hard-Boiled is one of his first novels the themes are clearer than ever here. The story in Haibane Renmei deviates quite a bit from the book, but the setting might sound familiar: a town at the End of the World, surrounded by an impenetrable wall, where characters have no names. ABe has admitted that Hard-Boiled is his favorite book, and that he also drew inspiration for the well, the forest, the birds, and the library from there as well. Characters enter the world of Haibane by emerging from a cocoon like a butterfly. 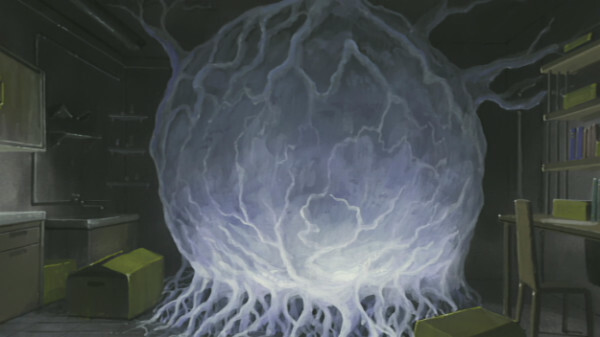 The cocoon symbolizes rebirth (as opposed to something like an egg, which would only mean birth). Cocoons also symbolize transformations. Unlike a butterfly, though, the Haibane don't have their wings when they are born but get them shortly afterwards through a process which almost resembles giving birth. Symbolically, they are giving birth to a new part of themselves. Before they emerge from their cocoons, Haibane see a dream. Since they don't know their names when they are reborn, they take a new name based on their dream. Later in the series it's revealed that all Haibane have two names, their assumed name and their "true name." Both are pronounced the same, but are written using different kanji, changing the meaning of the name. This method of naming is actually not unique to the anime: it is very similar to the naming tradition of many Native American tribes. In the tribes, names hold a special significance. They are descriptive, and are meant to change throughout each person's life as their experiences change. Each new name is not just taken on a whim -- it's earned and given to them by the rest of their tribe. The true name of the Haibane might draw from another aspect of Native American naming tradition. Every person in a tribe has a secret sacred name which only they and the medicine man knows. The medicine man in the anime might be The Communicator, whose job it is to watch over the Haibane and make sure they grow into their names. You might not know that the halo is an artistic invention, not a religious one, and it's been used in art even before Christianity claimed it. Halos in art are merely a way for the artist to show clearly that a figure is holy. 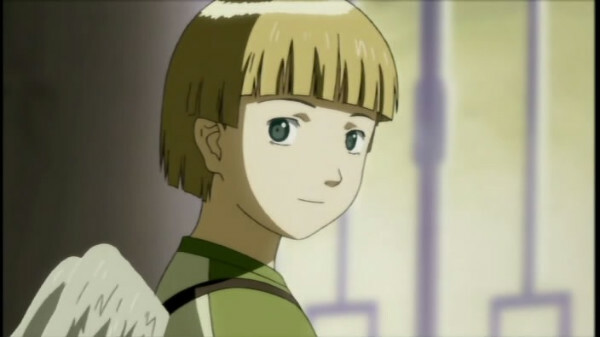 This seems to be true for Haibane Renmei too -- the Haibane all have halos that are affixed onto their heads (unlike their wings, which grow in on their own). 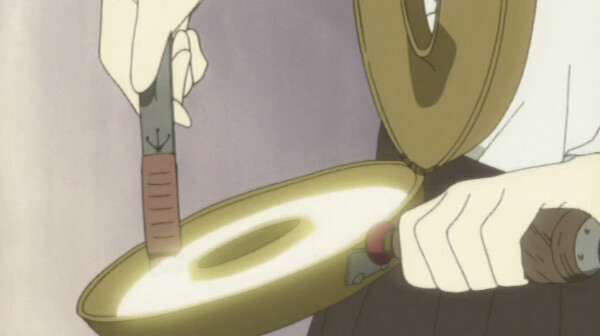 The halo seems to be just a convenient way to broadcast to other people who is a Haibane. 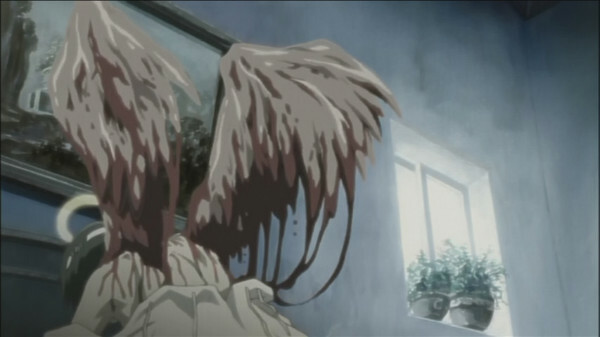 In the anime, Haibane are born with wings that are neither white nor black. White wings signify purity, so the Haibane's wings are a charcoal gray to symbolize sins of a past life. If a Haibane loses track of their mission and starts having dark thoughts, they become sin-bound, and their wings turn black. The concepts of "black as evil" and "white as pure" have been around since ancient times, and probably stem from the concept of day and night (daylight is bright and safe, nighttime is dark and dangerous). The wings themselves, aside from setting the Haibane apart from the regular humans in Grie, are also a powerful symbol. Wings have long symbolized freedom, the spiritual and imaginary realm, and the hope of flight. In ancient Egypt wings were also a protective symbol, and could cover people and things to keep them safe. What is sin? There are many answers to this, ranging from the moral to the religious, but the general consensus remains the same: sin is when you do something bad. In Haibane Renmei none of the characters know whether they've sinned, having no memories of their lives before their rebirth into their new world. This does not make them sinless, though. The Washii (the Communicator) tells Rakka about the Circle of Sin: "One who recognizes their own sin, has no sin." By this thinking, you can get trapped in a cycle of trying to figure out what your sin is, and in the process losing sight of the way to remain clean. One interpretation of this might be the idea that Haibane are born potentially "bad" and spend their existences atoning for their sins. The only way out is not to understand their sin, but to be forgiven for it. Once you find your place in the world, and discover your own solution to the Circle of Sin riddle, you are ready to move on. Salvation comes in the form of the Day of Flight, when Haibane can finally use their wings to fly on to their next lives. This is indicated by, naturally, a bright white light. Unburdened by their sins, the Haibane can fly free. You may have noticed some references to the legends of King Arthur in Nanatsu no Taizai. You might be surprised to learn how deep these connections run: every Sin has an Arthurian legend equivalent. From kings to gods, read on to find out who’s who in the Seven Sins of the Round Table!